Jussie Smollet performs at 2018 LOVELOUD Festival Powered By AT&T on July 28, 2018 in Salt Lake City, Utah. Following the horrific report of the homophobic and racist attack against Jussie Smollett and the tsunami of commentary that followed, it was important to give him space. I knew he would say his piece when he was ready and willing, and that time has come. He did make a point to note how the disgusting attack is bigger than him; it’s not an isolated incident. 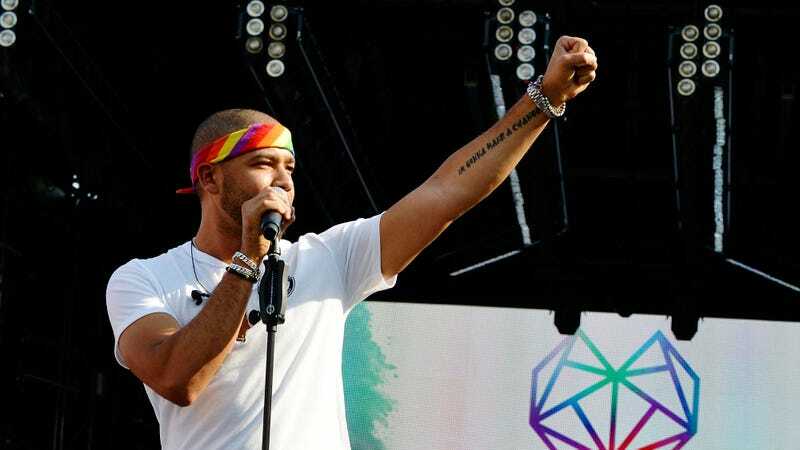 The 35-year-old actor-singer vows to use his platform to discuss the ongoing issues that plague the LGBTQ+ community and the intersections within it, but of course, he needs time to process the trauma he’s experienced. And, yes, he addressed any conspiracy theories or accusations that he and his camp are falsifying any information involving with the incident.